At O Dental, Dr Yuval Samuni, who is a Maxillofacial surgeon, uses a gentle touch to ensure your comfort through each procedure. We’re skilled in providing comfortable wisdom teeth extraction procedures. You’ll feel at ease and ready to proceed after we detail the process to you so that you know exactly what to expect. 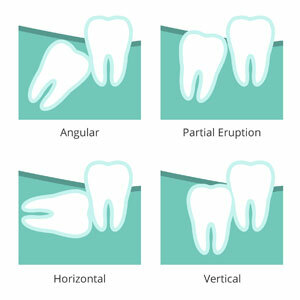 Wisdom teeth, or third molars, are usually the last of your teeth to erupt. They usually come in when you’re in your late teens. There is often not enough room in your mouth for them to surface, necessitating a surgical removal. You shouldn’t need more than a few days to a week to recover from your procedure. We’ll advise you on postsurgical care so that you understand how best to help your healing progress as quickly as possible. Schedule your appointment with our caring, helpful team today! Health fund coverage can be used for your visits.